Looking back on 2009, most of us will remember the plunging DOW, Obama’s first year in as Commander-In-Chief, Kanye West’s antics, Disney superstars reigning supreme, and a whole slew of cultural and newsworthy events. I’ll remember where I was when I heard U2’s much-anticipated new album, how Bon Iver kept winning my heart, and how John Darnielle of the Mountain Goats musing on religion made me rethink my own hodgepodge of Jewish-agnosticism. More than ever, music has the power to soothe and uplift, to show that no matter would, creativity and artistry will persevere. When all else is lost, music still lends something solid and elemental to our lives, and whether you’re a glittery tween waiting for the latest Miley Cyrus single to debut or a jaded hipster arguing the merits of Grizzly Bear vs. Animal Collective, there’s something for everyone in today’s vast, brilliant, and constantly evolving musical landscape. Yeah Yeah Yeahs is at their best when exploring the tender heart beneath their pounding, punky rhythms, all sawing guitar riffs, rough drums, and soaring choruses. Though opener “Heads Will Roll” is full of choppy, glittering energy, Karen O. and Co. mix things up with some stripped-down, positively intimate balladry – “Skeletons,” “Hysteric,” – which prove that softness can coexist right alongside big disco backbeats. Full of breathless emotion and Karen O.’s lovely, fervent vocals, It’s Blitz! isn’t as explosive as its (amazing) cover would foretell, but it’s an album that engages upon first listen and unfolds as you keep spinning it. 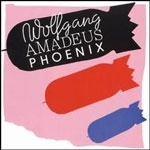 As the best thing to come out of France since freedom fries, Phoenix handily conquered the States with their fourth album, Wolfgang Amadeus Phoenix. 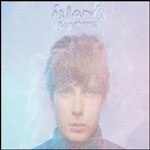 Chock full of deceptively breezy pop rock gems, this disc floats along in a sunny, synth-driven blur. On lead single “1901,” frontman Thomas Mars sings in a weightless, slinky vocal, “Counting all different ideas driftin’ away / Past and present they don’t matter,” whisking the listener away with their blissfully retro sound. Featuring odes to flamboyant 19th century Hungarian composer Franz Liszt (single “Lisztomania”) and a likening of a relationship crumbling to the fall of Rome, Phoenix has crafted a rich, sparkling album that’s as full of substance as style. 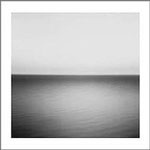 It’s impossible for U2 not to do it big, and on their latest release, No Line On The Horizon, all the elements come together: Brian Eno, Steve Lilywhite, and Daniel Lanois’ resonant, arena-ready production; Bono’s earnestness and complicated musings on God, love, and the role of the musician; The Edge’s chiming guitar sound. This disc may not have shifted big numbers in the era of Miley Cyrus, but it pleased longtime U2 fans and quick-to-criticize reviewers with its enveloping, intimate, and introspective tone. U2 is a behemoth, and rightfully so. All memories of Franz Ferdinand’s less than stellar sophomore effort You Can Have It So Much Better are forgotten with their latest, the inventive and ridiculously catchy Tonight. Swathed in darkness and intrigue, the Scottish foursome mix in rattling skeletons, synths, and some funky structures to create a disc that flows at a frenetic pace. 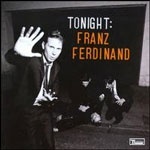 From the chunky, throbbing beats of lead single “Ulysses” to penultimate cut “Katherine Kiss Me,” which strips back the glam of “No You Girls” to become a calm acoustic number, Franz Ferdinand hits the mark with this disc. It was definitely not such a great year for most people, but albums like this can almost make you forget your troubles and turmoils, at least for a bit. Jammed full with airy, shimmering, and above all danceable tunes, The Pains Of Being Pure At Heart’s self-titled debut is proof that pop isn’t just slick but sometimes has a real beating heart beneath the sparkling beats. On standout songs like “This Love Is F*****g Right!” and “Young Adult Friction,” TPOBPAT swerves through jangling melodies, swirls of guitars, and energetic drums to craft a blend of perfect, palatable pop. I bought this discs solely because I fell head-over-heels for “To Kingdom Come,” a track that doesn’t sound so heart-melting on first listen but, with its potent combination of shimmering instrumentation, sweeping pace, and evocative lyrics, was the one song I kept coming back to day after day. It just never gets old. 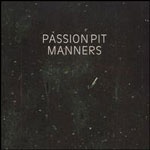 The rest of Passion Pit’s critically-acclaimed and hipster-beloved debut album has that same mix of sparkle and texture, with tracks that shift and tangle while still retaining an ethereal pop core. It’s a rare thing to tug at your heartstrings and be uplifting, too, but Manners does just that, and more. 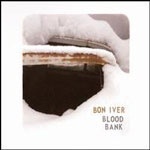 Bon Iver can do no wrong in my eyes, and this EP was just further proof Hot on the heels of the jaw-dropping, revelatory For Emma, Forever Ago, Blood Bank was a scant four songs but managed to make an impact as strong as any full-length release. The title cut tells a vividly creepy love story as only Bon Iver can, full of chilly harmonies and evocative lyrics, while he explores the ubiquitous Auto-Tune on closer “Woods,” morphing the cheesy tool beloved by rappers to something expansive and haunting. Most of all, this short EP proves that For Emma was no fluke, but just the first hard-won, deeply felt victory in what is most likely to be a string of gems for Bon Iver. On the Mountain Goats’ latest, auteur John Darnielle reckons with and reimagines twelve sections from the Bible with characteristic grace and clarity. There are no self-important statements of atheism or fawning to religion here, just a man attempting to reconcile what faith and some familiar stories mean to him in our tumultuous modern world. Darnielle’s sentiments are raw and elemental, but his lyrics are as vivid as ever, counterpointed by the spare, stripped-back acoustics of the instrumentation. 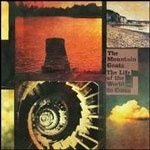 The Life Of The World To Come is a different sort of beast than previous offerings from the Goats (Get Lonely, The Sunset Tree), which chronicled intimate autobiographies of bitter breakups and abuse, but it does what every great album should: hit you squarely in the heart. This is just a cool album, from the icy blue, ‘80s-esque cover to the blend of warm pop and artificial electronics contained within. After the weighty baroque of 2007’s Arm’s Way, Nick Thorburn has reunited with former Unicorns bandmate (whose absence was definitely felt on Arm) to craft a set of songs that add wit and sparkle to a traditional pop backbone. As always, Thorburn’s lyrics are just plain creepy (car bombs, knife-wielding stalkers sneaking, the apocalypse), but delightfully so, particularly when paired with their energetic, swerving instrumentation. If anything, Vapours presents a more refined Islands, still as imaginative as ever, but willing to edit and pare back their epics in favor of some more shot-to-the-heart tracks. Of all the supergroups that formed this year (Them Crooked Vultures, The Dead Weather, Monsters Of Folk, etc. ), one of my favorites was perhaps not the most “super” in terms of star power, but was an interesting collaboration nonetheless Fresh off the success of 2008, Justin Vernon of Bon Iver decided to forgo the lush, crooked lyrics that helped bring him accolades on For Emma, Forever Ago and paired up with Collections Of Colonies Of Bees to record a largely instrumental album. Why fix what isn’t broken, you might ask? 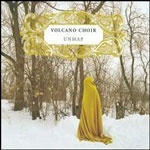 Because what results on Unmap is a lovely collection of atmospheric tunes that manage to be just as complex and intriguing as Vernon’s wordplay on Bon Iver’s debut. While you can’t really sing along to these chorus-less songs, you can most certainly by moved and inspired by the textured and rich cuts here.